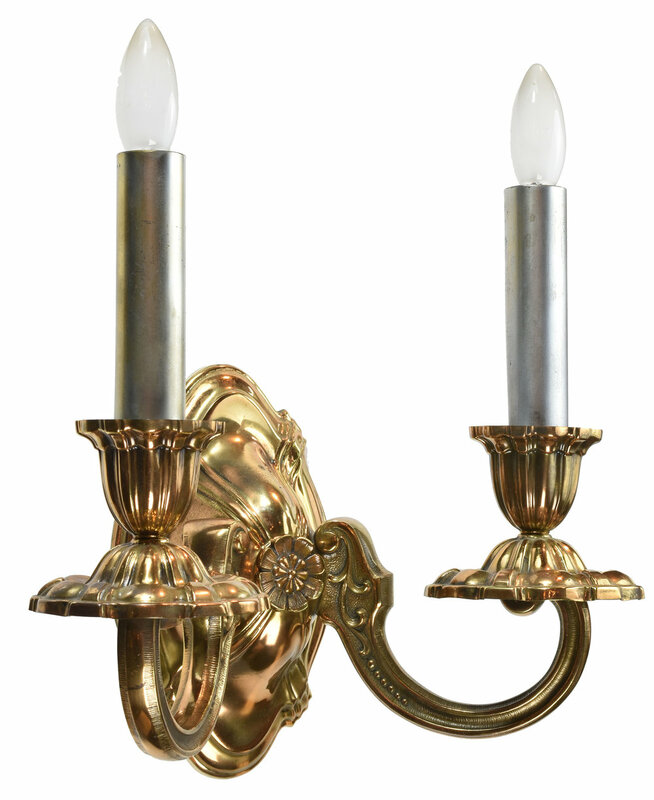 Lovely cast brass sconces. The curves and shine on this sconce keep your eye constantly moving while you’re able to rest your eye on the center flower. 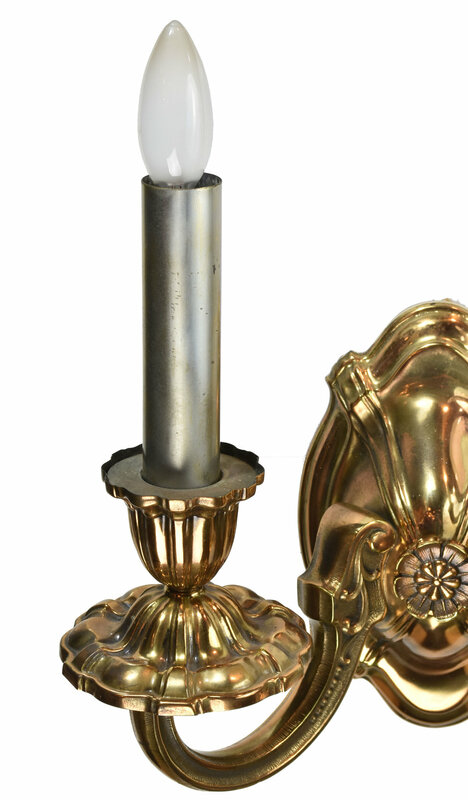 This sconce is beautifully symmetrical and you’re able to appreciate it fully at eye height when you can see all the pieces coming together at the center. Whatever reflections are around keep the sconce interesting as light plays off of each curve and surface differently. The arms have detailed texture and curves and curl up and into the reflected socket holders first tier. The candles spring out of the blossoming flowers. 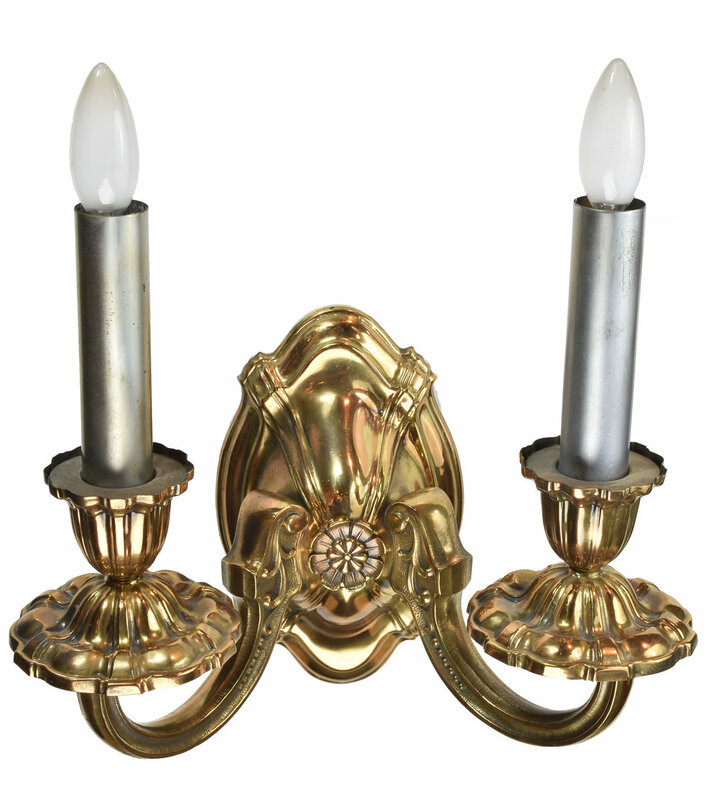 This sconce is full of feminine elegance and will brighten up any space. Be sure to include the Product ID (AA#47971) when making your offer.